Evangelical organizations from the left-leaning Sojourners to the right-leaning Focus on the Family, have joined in a plea for immigration system. If you’re curious, you can find a list of all the signatories here (scroll to the bottom of the page). This sounds a lot like talking points from immigration moderates like George W. Bush or Barack Obama and creates the impression that a majority of Americans, including a healthy swath of the evangelical community, favor comprehensive immigration reform. Tea Party zealots comprise the big roadblock to change. By making a “no amnesty” stance on immigration a litmus test for genuine conservatism, the radical right has dominated the debate and made it difficult for politicians on either side of the ideological divide to address the immigration issue. 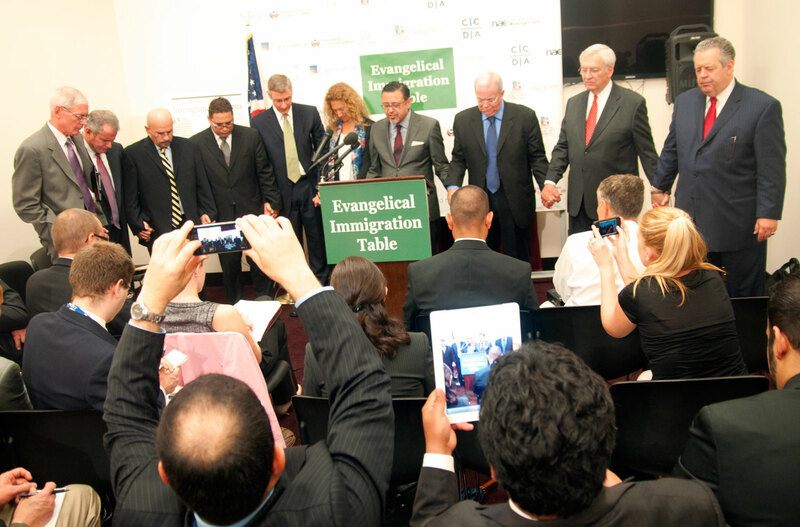 The statement released this week by the Evangelical Immigration Table makes it much easier for presidential candidates to talk about immigration reform. Sure, the statement released on Tuesday is short on specifics. But when religious conservatives voice a common support for biblical compassion, human dignity and family unity, it’s time to celebrate.